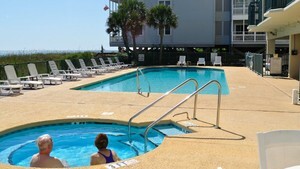 Emerald Cove I & II are located in the Windy Hill section of North Myrtle Beach, South Carolina. 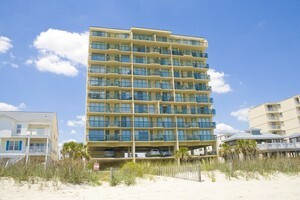 These 3 & 4 bedroom oceanfront condos offer very spacious floor plans, and can accommodate up to 12 people. Windy HIll Beach is a great location - this quiet area of the beach is very family friendly and seemingly a world away from all the action located just a few blocks inland. Many people enjoy Emerald Cove I & II because of it's close proximity to Barefoot Landing, home to 100+ shops, restaurants and entertainment venues, located just about 5 minutes away. On-site amenities include an oceanfront pool, hot tub and beautiful sundeck.